Remember the days before Photoshop? When the photo you snapped was what you got? NYT reports Polaroid, bumping through bankruptcy, may be reborn in the Netherlands as a group of investors takes over an abandoned factory. The crux of it all is Polaroid SX 70 and 600 series film, required to make those sliding squares pop out of the instant cameras and about to go the way of dinosaurs, may come back. 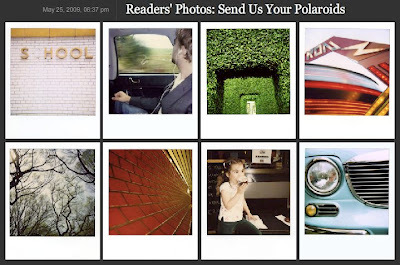 The resurrection appears not done yet, so NYT is rallying a movement by inviting readers to email old Polaroid snaps (via scan, or photo of the photo) to pix@nyt.com. This should be fun.